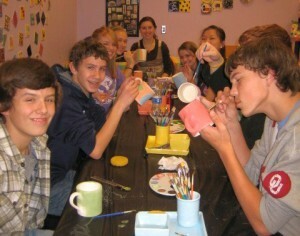 Parties of 10 or more are held in our very own Party Room! Bring in any refreshments you’d like! We’ll help with the set up and take care of all the clean up! Choose from a variety of pieces or let each guest paint the same pieces. Parties of 10 or more are held in the Party Room. Each party is scheduled to last an hour and a half. Choose a party package .. see below! Reservations require a $50 deposit (applied to the cost of the party) and a signed contract. Weekend spots fill up quickly! Make a selection of any of the small animal figurines on the $12 Animal Krackers shelves. This party package is a GREAT CHOICE for our younger Pikasso Artists! 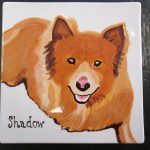 Create your own masterpiece on a blank eight inch tile. 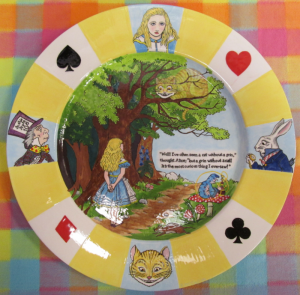 Includes a salad plate for each painter. 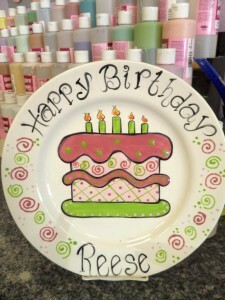 Create a plate for any occasion! This package is great for birthdays, bridal showers, and church or corporate events. Discover two fun new ways to paint! 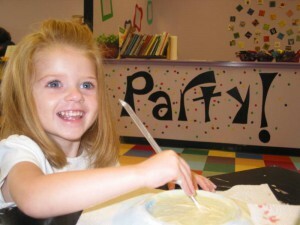 We will teach you both splatter painting and bubble painting with a cute cereal bowl. Be super creative and customize your very own wall art. 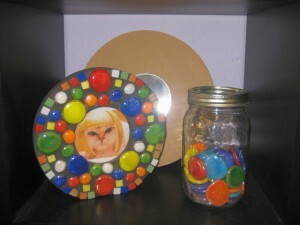 Each plaque comes with wire and colorful beads for you to hang and display your artwork! 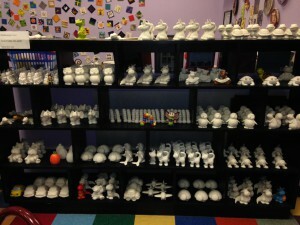 Includes any item from either of our kid’s shelves, including banks, boxes, and larger figurines! Older kids really like this package! 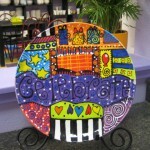 Allow your guests to paint any item in the studio priced over $20. We will give you a 10% discount! 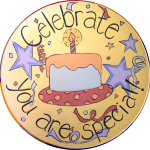 We’ll be happy to create a customized party package to fit your needs! Just give us a call or stop in the studio for more information. Not feeling artsy but still want to give a gift that lasts a lifetime?? No problem! We’ll do the work – and you get the credit for giving such a wonderful gift! Call today to custom order yours!